Universal harness. 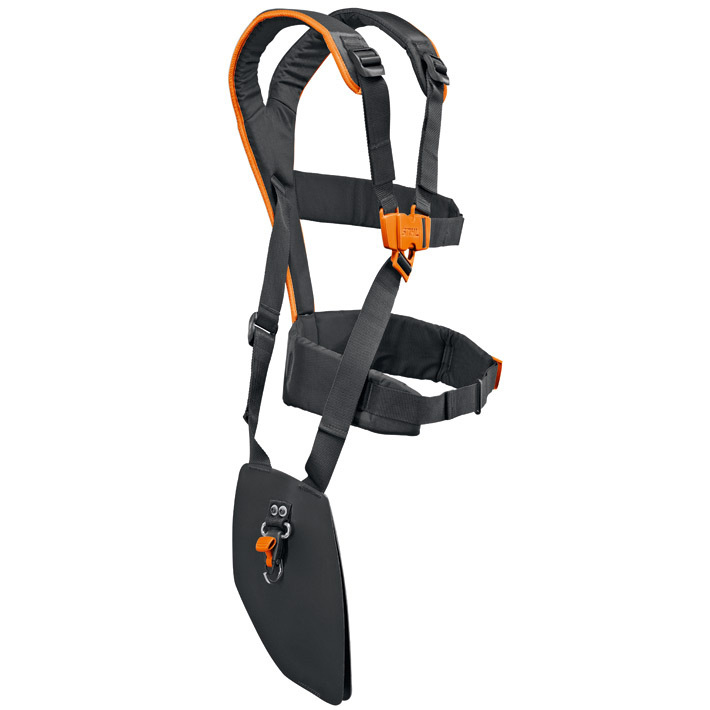 Top-of-the range ADVANCE harness with innovative quick release clip for extremely fast mounting and dismounting of brushcutters. Features: Fast mounting - get working faster and move between equipment quickly. Quick and easy dismounting - remove the brushcutter instantly. Added safety - Quick removal in case of danger from wildlife, fire or accident. Innovative design - the hook stays attached at all times, always ready for action. Easy to adjust and extremely ergonomic.